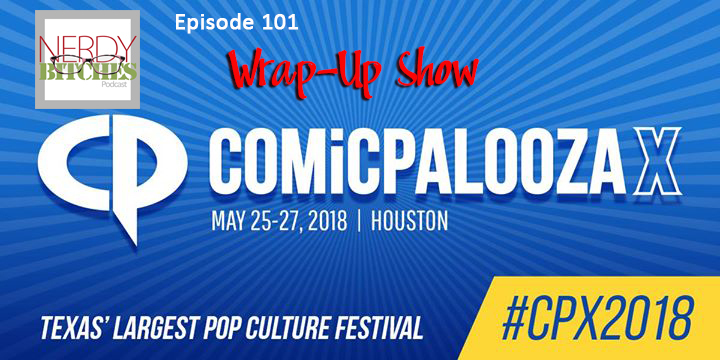 In this episode, we briefly try to do our Comicpalooza 2018 Wrap Up, and fail miserably at the “brief” part! There was SO much going on, and we just couldn’t help ourselves!! 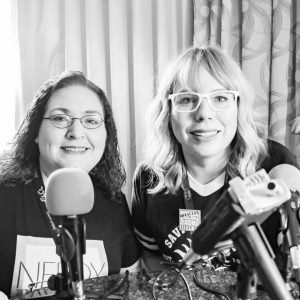 So listen to us gush about the amazing time we had, all of our awesome panels, our friends, and did we mention the celebrities?? 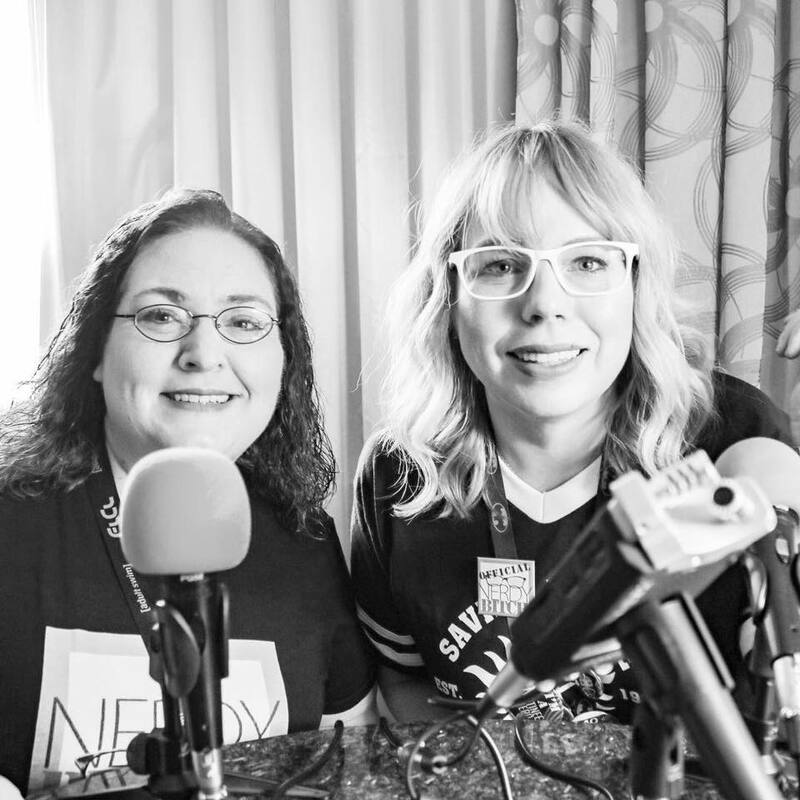 We not-so-briefly go through each day of the convention and talk about the awesome panels we attended, the panels we hosted, and how much fun it was to finally see each other again since Heather moved away! There are probably some really long tangents about Harry Potter meet-ups and other things, but the conversation was fun, so we left them in. Friday – Matinee Hereos panel, Peter Mayhew (moderated by Brandon from Cult 45), Liz gushing about TALKING to Peter Mayhew, and a lot on our trivia show down game show with Cult 45 podcast. The live stream for that show is available here. Sunday: We had our Women in Podcasting panel, which we hosted. 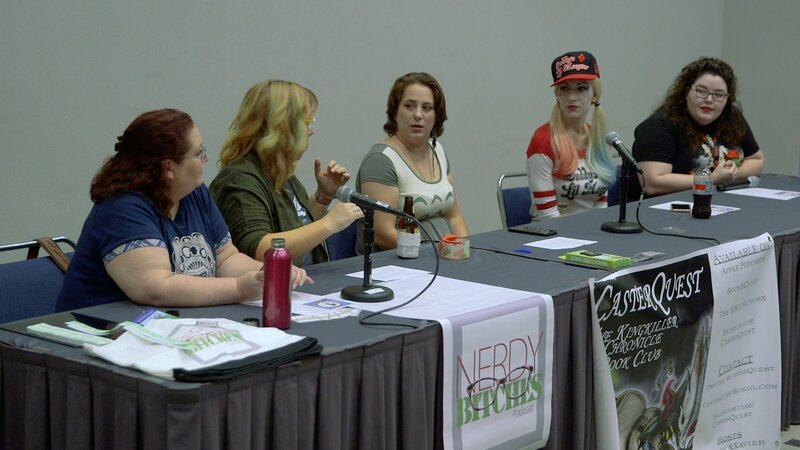 The panel included Mandy from CasterQuest, Miss Jenny Kelley, and Thirsty from Raging Nerds. It was a great panel, and we are looking forward to seeing the video captured by Seale when it is available! Now, we are exhausted! Heather is going out on assignment for a few weeks to a couple of other conventions. In the meantime, Liz will be joined by guest host Mandy until Heather is back! Look for those episodes coming soon! 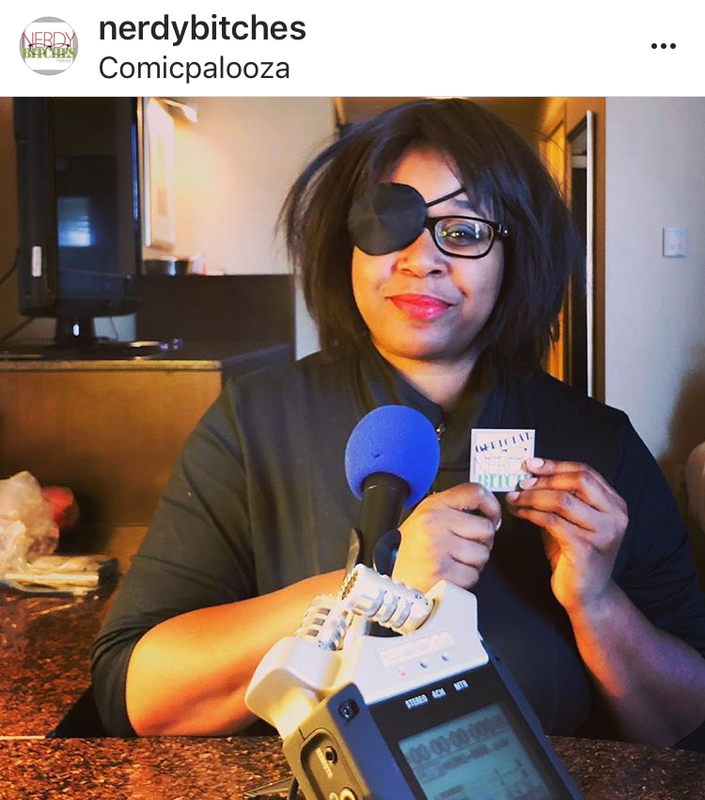 Thanks again to the team at Comicpalooza for our third time as part of their official podcasting program. We have a great time every year, and this is definitely our favorite convention! We are already looking forward to next year!